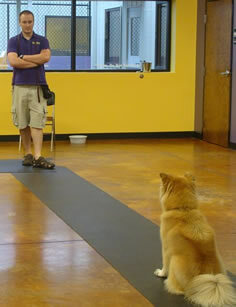 important, leadership skills, and how to truly communicate with your dog in his language. Dogs must be over 5 months old and display no major negative bevaviors such as dog or human aggression. 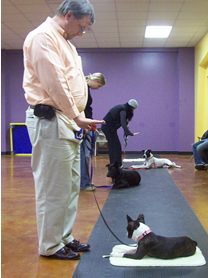 The goal of this class is to earn an AKC Puppy S.T.A.R. title. S.T.A.R. stands for Socialization, Training, Activity and Responsibility. 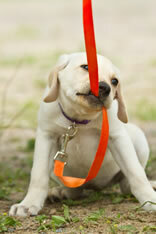 Puppies will learn skills to become great canine citizens and a more enjoyable canine friend. Skills such as meeting new dogs and people, staying in place, coming when called, walking through a crowd and handling by another person will be taught. Dogs are invited to join you on the first night of class. - Treats-Make sure they are very "yummy", different from what your dog would normally get. They should be tiny (pea size) since we will be using many in class. No hard dog biscuits or dog food. Pre-requisites: Dogs must be between 5 and 12 months of age and current on all vaccines (please bring proof of vaccinations first night).